Having successfully completed more than 10,000 projects and counting, Daech & Bauer Roofing combines outstanding service and precise craftsmanship to provide an unbeatable roofing experience for residential and commercial customers alike. We’re a leader among the roofing companies serving the Troy, Illinois area, and we’re proud to be certified as an Owens Corning™ Preferred Contractor – a distinction that only a small number of companies in the nation have earned. We’ve also been singled out for the overall level of service we provide, with Roofing Contractor magazine naming us one of the Top 100 Roofing Contractors in the nation. 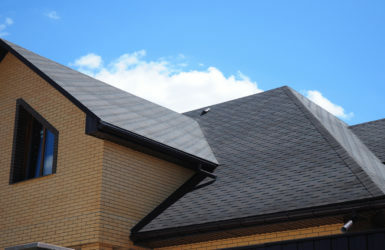 Daech & Bauer Roofing provides comprehensive roof repair and replacement services for home and business owners in Troy, IL and neighboring communities, and our roofers can work with all types of materials, including shingles, metal, tile, cedar shakes, TPO, EPDM, and more. If your roof has been damaged by severe weather, we will help you navigate the insurance claim process to ensure you receive the compensation you deserve. If your roof needs to be replaced, we will install a complete roofing system that provides the durability, water resistance, and attic ventilation needed to ensure that your roof will provide optimal protection for many years. If you would like to learn more about the factors that make Daech & Bauer Roofing stand out from the other roofing companies in the Troy, IL area, contact us today. Be sure to ask about our labor and materials warranties, which offer some of the most comprehensive guarantees in the industry.